About as simple as it gets except for the awesome CRUNCH!! After tasting this, you will never go back. Yummy, flavorful, great consistency and, best of all, it has only peanuts! What a concept...non-GMO peanuts and nothing else. I will not touch another peanut butter again, I am hooked! 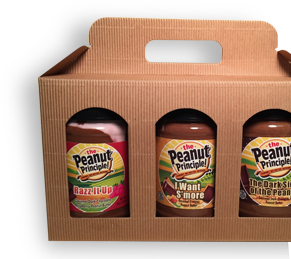 I must confess, the reason I ordered Peanut Principle products was because they had the lowest calories I have ever seen in peanut butter. The fact that there is no added anything and the great taste is why I continue to only eat their products. I highly recommend Peanut Principle.